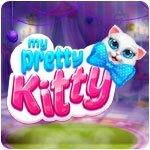 My Pretty Kitty Game - Download and Play Free Version! You've always dreamed of having a cat but still don't have one? 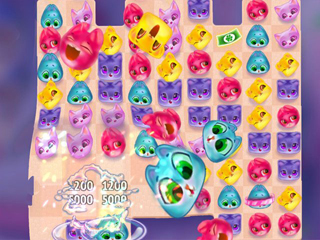 Then the game 'My Pretty Kitty' is a perfect game for you! It's a unique combination of match-3 and tamagochi genres: you can take care of Kitty, feed her, play with her and dress her in the most fashionable attire. It's like taking care of a real cat, but better! The more Kitty is happy, the higher her level and the more rewards you'll get! 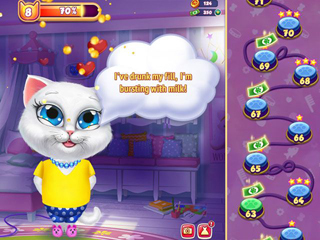 Match-3 levels give you Pet dollars to fulfill Kitty's wishes and buy her clothes.